Like many other students at Karin Shoji Makeup, Clarissa started taking classes with the goal of turning her hobby into part of her career. Coming from an engineering background, Clarissa was originally intimidated by the idea of going to makeup school. She was a self-proclaimed tomboy when she first started at Columbia College, but found herself interested in makeup when she noticed other students in her class dressing up. 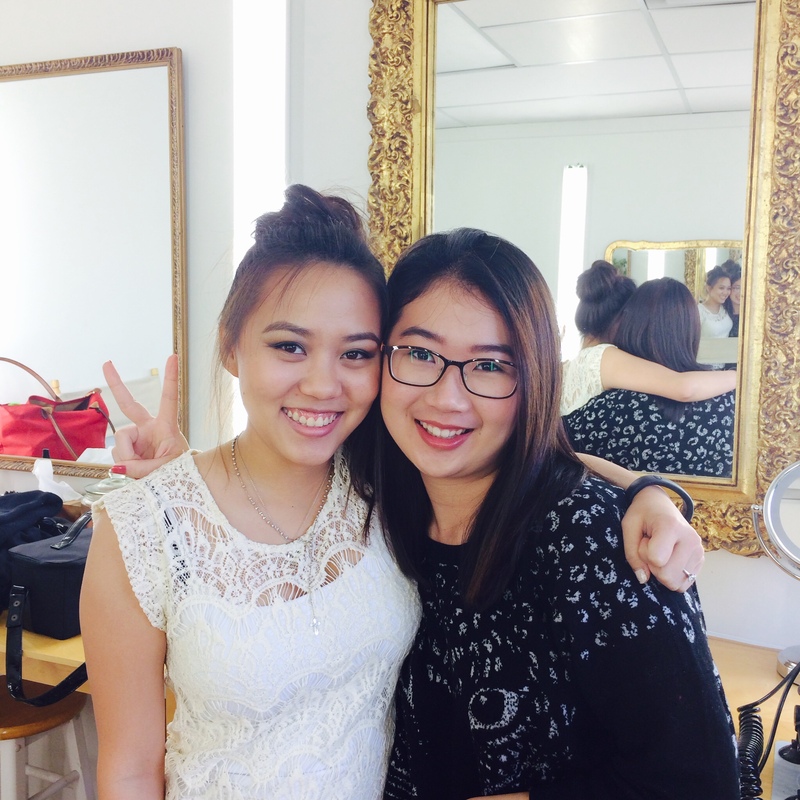 Clarissa took the first leap by signing up with Karin Shoji Makeup. It afforded her the flexibility to complete her degree and maintain her full time job post university, while also allowing her to use her creative talents. She was even able to set up some one-on-one classes, expanding her knowledge and becoming more practiced at putting makeup on other people. Originally, Clarissa planned on concentrating on bridal courses, but discovered her passion when she took some of the other classes offered at KSM. She gained experience with special FX, glam, fashion, body painting, airbrushing and film/tv makeup. Currently, Clarissa is spending some time in Indonesia visiting family and friends and plans on taking some hair courses upon her return. It was such a pleasure teaching Clarissa and we are looking forward to having her back in Vancouver for wedding season!